aar-arm | I Code Raven! Well, as the title suggests, work on the Senior project has been progressing at a lazy pace, but a few developments have spurred me back in action. First, my project has been selected for the final 20 projects to compete at the Jed-I challenge. Second, the official project submission deadline is approaching. Fast. So, developments. I’ve started work on a more structured manner – Have set up a git repo and a proper debuggable python environment within Eclipse. The last post showed the SCORBOT ER-4U robot building the ikfast TranslationDirection5D library database for itself. This ik solver is used since the robot has only 5 degrees of freedom, which severely curtails the available 6D space for effective manipulation. Hence this ik solver works from a given destination point and direction to approach it. After playing around a bit with the python files I observed that very few grasps managed to return valid ik solutions. Even deleting the generated ikfast files and rebuilding the database didn’t help. What puzzled me the most was that even a very small displacement failed to return a solution. So, here since the jaws are colliding whenever I use the cube’s coordinates as my target point, on an arbitrary valid target point, the arm moves correctly and along the specified direction. UPDATE: It turned out that the collision was happening because I had a virtual wrist that rolled, to which the wrist attachment pitched up and down. So, what this was doing was that whenever the virtual wrist (wristZ) rolled, the pitching axis of the wrist attachment also changed, so that any pitching movement would lead to the wrist obliquely colliding with the forearm. 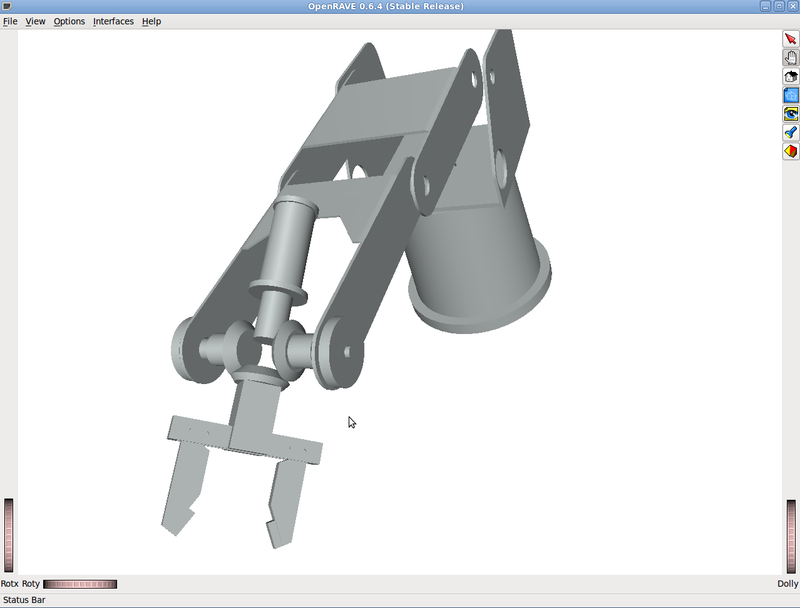 To amend this, I split the wrist attachment into two parts, with first wristX pitching up and down, and wristZ then rolling about that axis (the grippers are attached to wristZ). Here’s a screenshot of the new model in action. This has also eliminated the occasional wobbling of the arm during a move. 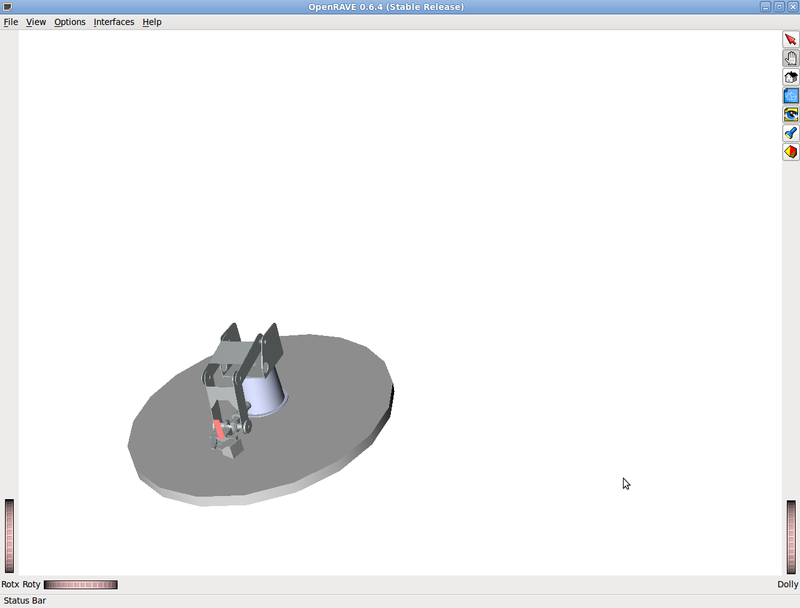 The updated CAD model. Note that the grippers have become revolute joints, and the wrist attachment has been divided into two subparts – wristX is the projecting portion behind the differential gears and wristZ the part in front, to which the grippers are attached. Also note the small 1 mm clearance I introduced between the differential gears.